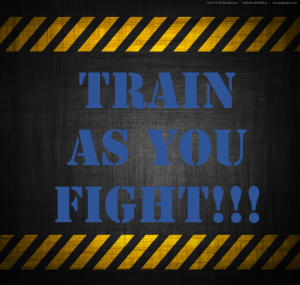 Train as you fight! This adage is one that military members and other tactical specialists have heard repeatedly. Unfortunately, this is a difficult task to accomplish when it comes to firearms training. Traditional training requires one to square off with a paper target as a means to practice with their duty or personal carry weapon. This type of training does not allow for the increased stress that is experienced when one is facing a threat with the means to shoot back. This is where USD Solutions and their partners come in. Simunition training equipment allows students to use a real-world weapon system to fire non-lethal rounds. These marking rounds are able to duplicate the full functionality of the weapon system, adding to the realism of the force on force training. 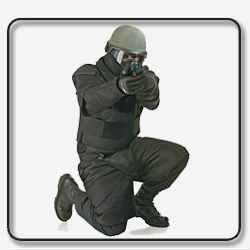 These systems have been used by the military and law enforcement agencies to better train their personnel in a way unlike any other weapon analog. As a registered partner with Simunition, USD Solutions is determined to help the Dallas/Fort Worth area prepare themselves for when the worst and unexpected occurs. If you are ready to invest in your education by stepping out of the unrealistic square range training world, then you have come to the right place. Below you will find the details of the Simunition system as described by the manufacturer. The FX® system is comprised of FX® marking cartridges, weapon conversion kits and personal protective equipment. The FX® marking cartridges, which come in six colors, are at the core of the FX® Training System known as "the world's most realistic close-range combat training system". 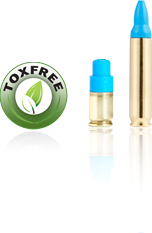 The patented, reduced-energy, non-lethal cartridges leave a detergent-based, water-soluble color-marking compound. The visible impacts allow accurate assessment of simulated lethality. The cartridges are available in .38 cal. 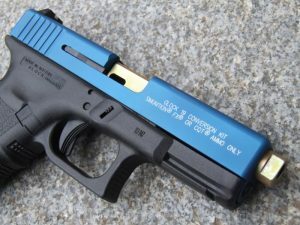 and 9 mm and feature tactical accuracy up to 25 feet (7.6 meters). The 5.56 mm is tactically accurate with ball cartridges to 100 feet (30 meters). No special ballistic facilities are required. They meet the need for a force-on-force and man-to-man training system that is realistic, effective, inexpensive, adaptable and fully portable. FX® non marking cartridge for use in areas or situations where marking is not desirable. The 9 mm FX® non marking has the same characteristics as the FX® marking cartridge except for ballistic match at 16 feet (5 m.) versus 25 feet (7.6 m.). The Simunition® conversion kit, conversion bolt, bolt carrier assembly and safety-ring insert are mandatory and easy to install, they allow FX® marking cartridges to be fired safely from the user’s own service weapon. These kits help preclude the inadvertent chambering of live ammunition and ensure the proper operation and cycling of the weapons. The "impact awareness" delivered by its ammunition contributes to the realism of FX® interactive training. To ensure safe and realistic training, yet still allow the impact to be felt, Simunition® developed a full line of protective equipment for both men and women, including head protector, throat protector and groin protector as well as pants, gloves, a vest and sleeves. These components are for use exclusively with FX® marking cartridges. They are comfortable and lightweight and allow the user to move as freely and naturally as possible. Simunition® policy requires users to only wear Approved Simunition® FX® 9000 Series masks, throat and groin protectors when training with FX® marking cartridges. Information sourced via Simunition.com, a USD Solutions partner. We would be happy to assist you and/or your organization with a tailored Force on Force training program. Please click here and fill out the training application. This form will aid our solutions specialist in the development of your training plan. Please feel free to contact us if you have any questions or concerns.